First grown by in Kent, England as a chance seeding in 1861, Richard Fuggle brought his namesake hops to market in 1875. Fuggle hit its peak in 1949 when 78 percent of the English hop crops were Fuggle. Today, Fuggle continues to be grown in the UK in addition to Oregon and Washington state, though the US version is slightly less potent than its English counterpart. Originally used as a bittering and aroma hop, it is more recently used as primarily an aroma hop. Fuggle is also used in breeding and is parent to Willamette, Cascade and Glacier hops. The earthy and woody characteristics of Fuggle make a great addition in English style ales, milds, bitters and porters. Today, we snuggle with Fuggle for our beer sample flight Craft Beer Crosscut 1.26.19: A Flight of Fuggle Hops. Young’s Double Chocolate Stout’s thick, creamy head sticks to the glass, emitting cocoa powder and semi-sweet chocolate. A hint of hoppiness in the air reminds that it is very much a beer. Pale ale and crystal malt, chocolate malt, special blend of sugars, Fuggle and Goldings hops, real dark chocolate and chocolate essence are all utilized in creating this unique beer. Creamy chocolaty sweetness coats the tongue like liquid silk. The malty, chocolaty smoothness dives into roasted malt bitterness that tingles through the aftertaste: The chocolate’s truly the chip off the old stout. 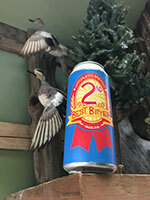 Matchless Brewing’s 2nd Best Bitter arrived from a double mash of a barleywine batch. Dry-hopped lightly with Fuggle hops to give oaky and piney notes, this beer is for those who like an easy-drinking, malt-forward beer. Smooth hints of caramel and toffee make it flavorful, yet it finishes fast and clean. Fred Eckhardt’s book, A Treatise on Lager Beers, published in 1969, was the first modern book about beer. 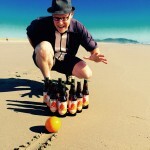 During his stint as the Oregonian’s first beer columnist he penned The Essentials of Beer Style, helping many homebrewers understand their craft and in turn helped launch many craft brewing careers, including Hair of the Dog Brewery’s Alan Sprints, who created an American Strong Ale simply named Fred. Fred, the beer, is a deep golden color. It is made with aromatic and rye malts and includes 10 different hop varieties — Northern Brewer, Progress, First Gold, Crystal, Fuggle, Willamette, Tettnang, Chinook, Spalt, Saaz and Strisselspalt for caramel, bitter hops and some alcohol. 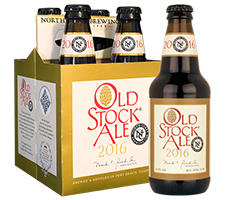 With a big sherry-like aroma, including hints of vanilla and peppery spice, we’re forewarned North Coast Brewing Old Stock Ale is stocky. Sure enough, our first taste highlights big brown sugar sweetness up front, with Champange-grape and honey notes along for the ride. It’s brewed with classic Maris Otter malt and Fuggle and East Kent Goldings hops, all imported from England. In the cocktail world this beer would be an Old Fashioned. It’s hot with alcohol, lip tingling and obviously young, with an assertive bitterness from that belies the 34 IBUs. As good as it is today, it will significantly improve with time. Prairie Artisan Ales’ Bomb! is an imperial stout aged on Nordaggio’s espresso beans, chocolate, vanilla beans, and ancho chile peppers. It hits the nose with cocoa, vanilla, coffee, chili peppers, and roast. Taste is sweet, chocolate, vanilla, warming chili, coffee initially subtle but comes through much more as it warms, roast malts, and at 13 percent the alcohol is well integrated. Combined with a crisp, refreshing bitterness from Styrian, Goldings and Fuggle hops, it’s dangerously easy to drink.